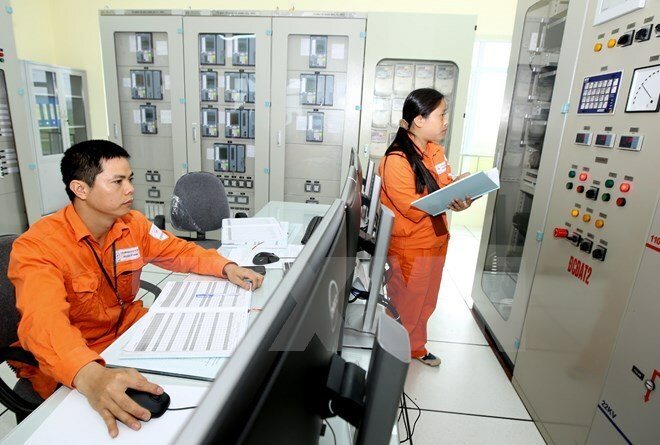 Hanoi (VNA) – State-owned Electricity of Vietnam (EVN) Group has reported fewer blackouts in the first nine months of the year as part of improvements across power supplying indexes. According to the group, there was a 43 percent reduction in its System Average Interruption Duration Index (SAIDI) in the first eight months of the year compared to the same period in 2016. SAIDI is the average outage duration for each customer served, measured in units of time, often minutes or hour. Specifically, the group’s total SAIDI in the period was 624 minutes. The Momentary Average Interruption Frequency Index (MAIFI) was 0.64 times per client, down 36.2 percent, and the System Average Interruption Frequency Index (SAIFI) was 4.56 times per client, decreasing 36.2 percent year on year. Electricity supply is ensured as water levels in northern reservoirs are higher than expectation. The group generated and purchased a total of 147.92 billion kWh of electricity in the past nine months, a year-on-year surge of 8.17 percent. It sold 129.6 billion kWh of electricity during January-September, rising 9.07 percent from the same time last year. The rate of power loss over transmission was 7.26 percent, lower than the yearly target of 7.47 percent. In October, EVN plans to produce and import 49.8 billion kWh in total with commercial power output standing at 45 billion kWh.